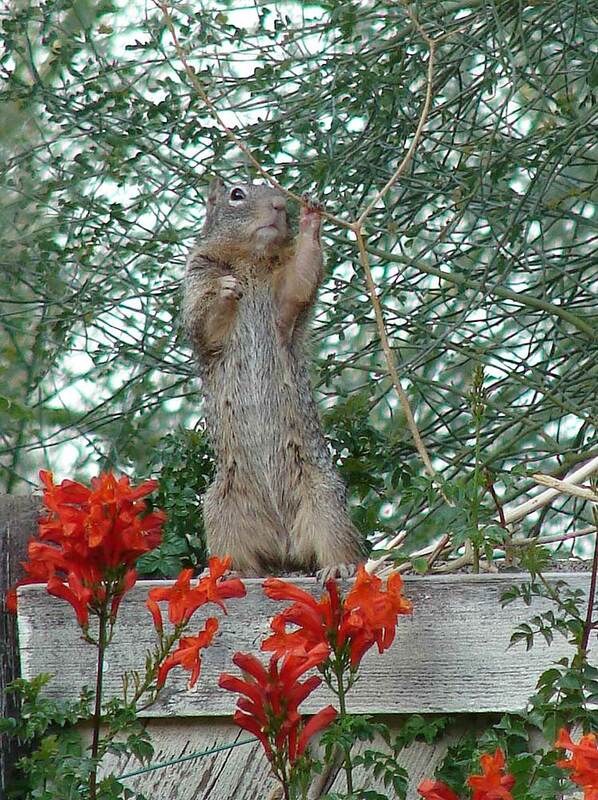 Roxy the Rock Squirrel steps out to give her own prediction. ﻿ My Rock Squirrel, Roxy, got a head start on old Phil and stepped out early to give her forecast on Jan. 25th. 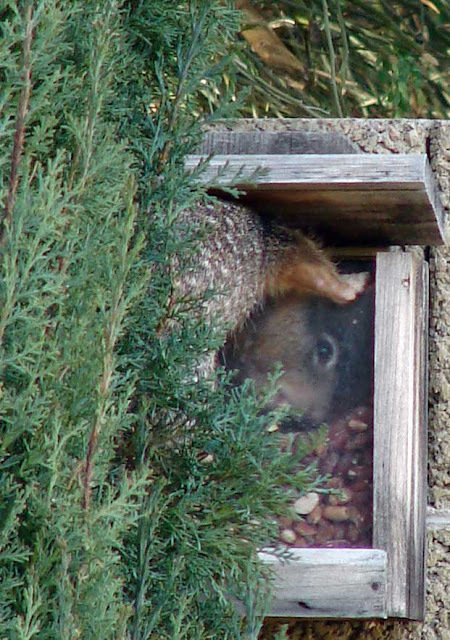 What the hell does an east coast groundhog know about the weather out west anyway. 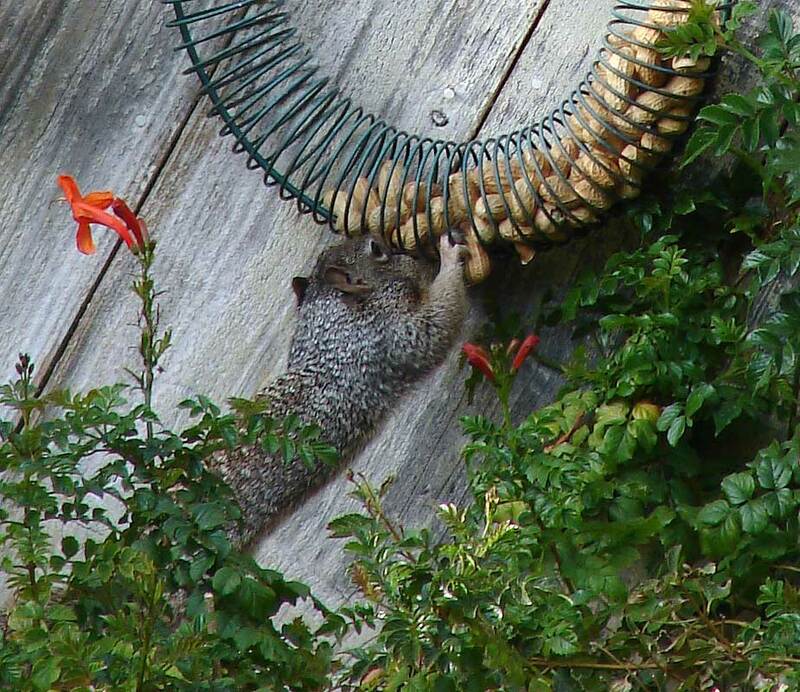 She predicts 6 more weeks of winter and is acting accordingly - stashing away a #%$-load of peanuts. Wreath peanut feeders are available at Wild Birds Unlimited.